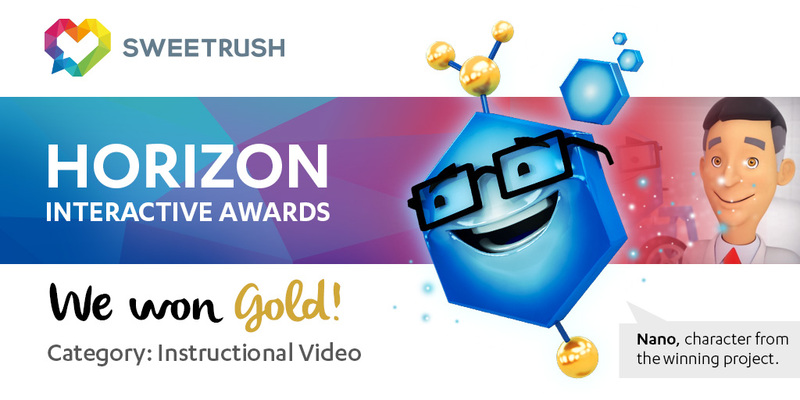 SAN FRANCISCO, Calif. May, 31, 2016 – The Horizon Interactive Awards recently announced its 2015 winners, and the partnership of SweetRush and Bridgestone was recognized with a gold award in the Instructional Video category. The sales training video—created for sales associates in independent tire dealerships—uses humor, character development, story, and custom 3D animation to grab sales associates’ attention and establish Bridgestone as the leader in R&D in the tire industry. Dream for a moment that you have the expertise and tools to positively impact the lives of others. You can affect mindsets and behavior. You can help a business grow, change, prosper, and thrive. The passionate pursuit of this expertise and the development of these tools have been at the heart of the success SweetRush has experienced collaborating with clients who share the same dream. SweetRush’s focus on team culture and mastery of performance improvement is reflected in a near-zero turnover of teammates, loyal clients, a 14-year track record of success, and a remarkable portfolio. Our work with clients has earned us gold awards from our peers and high ranking on the top training-industry lists. Every solution we deliver is infused with creativity. Instructional creativity allows us to discover effective and unique solutions to our clients’ challenges. Artistic creativity spurs us to create visually exciting, engaging user experiences. Technical creativity allows us to embrace new capabilities and platforms as they emerge, such as gamification and mobile delivery. In our Talent Solutions service, we harness creativity and our unique knowledge of talent, team building, and learning and development to find you the best temporary staff to augment your team. We apply the creative lens to all things, from project management to how we treat our teammates, clients, and the planet.